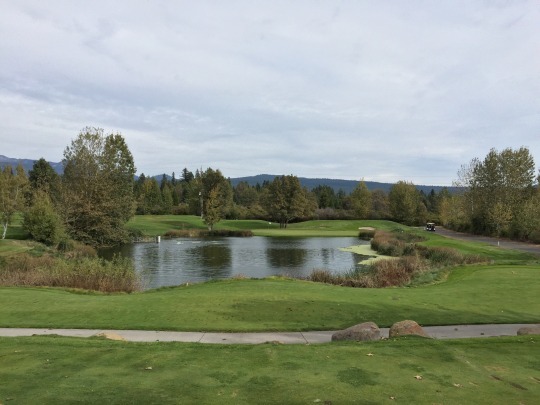 I’m up in the Portland/Vancouver area this week tending to some non-golf family obligations, but that won’t prevent me from getting in a few rounds when I can. 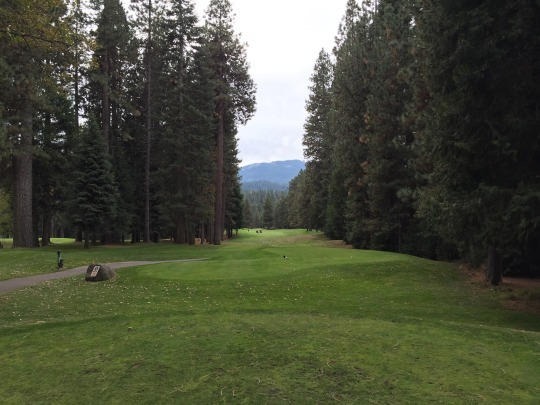 I took advantage of the long drive up to visit one of my personal favorite courses. 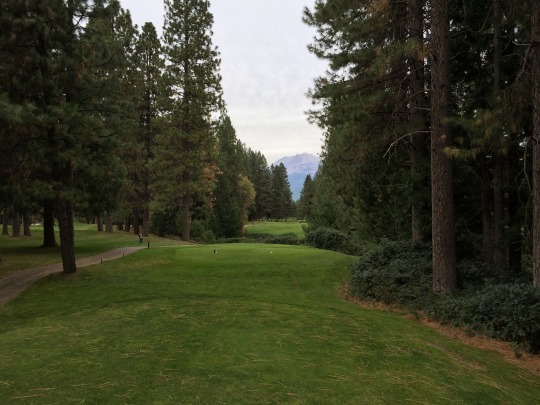 Since I haven’t played the Mount Shasta Resort course since starting this blog in 2011, I figured it was about time to give it a proper review. 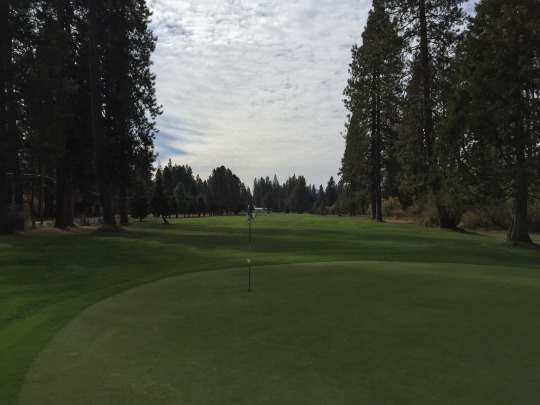 I had heard from a friend that this was a decent little track and it was the perfect pre-Shasta round being located about 15 minutes east. When I arrived there around 10:15, the place looked empty with just a couple cars in the parking lot and few signs of life. I wondered if the course was even open, but they were. I went in and paid my $16 to walk nine holes. As I was getting my stuff out of my car, I noticed there actually was a group out on the first green and then an elderly fellow came off of the 9th hole and immediately went out to the 1st (his 10th) before I could get over there. It turns out those were the only other people on the course. 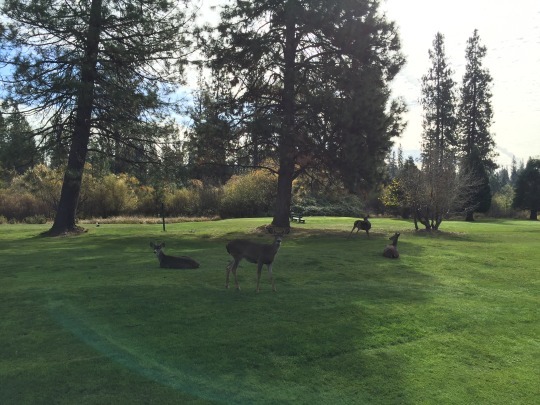 Fortunately, they were all nice and I worked my way through everyone after just a few holes. 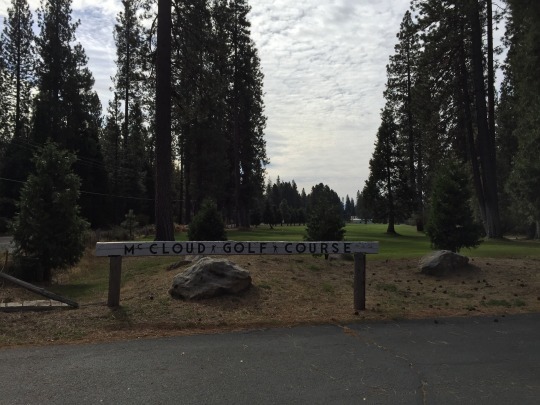 McCloud Golf Club is an old course, opened in 1923. They have some old wooden irrigation pipes on display by the 1st tee and everything there feels a little like it’s a rustic old time capsule. 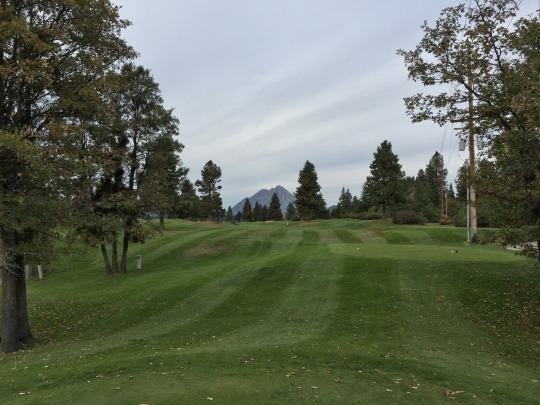 It is a 9-hole regulation layout with different tees for front and back nine play (par of 36 on each side, but a couple holes switch from par-4 to par-5 and vice versa). For the most part, the layout here is pretty simple. What you see is what you get. 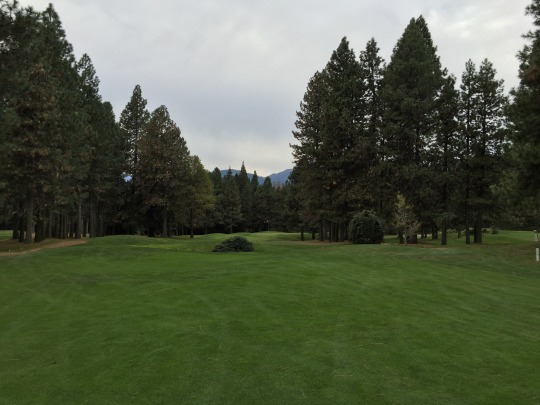 The terrain is quite flat, the greens are basic and there are only a few tricky sections like the par-4 2nd heading back into the woods and bringing some awkwardly placed trees directly into play. 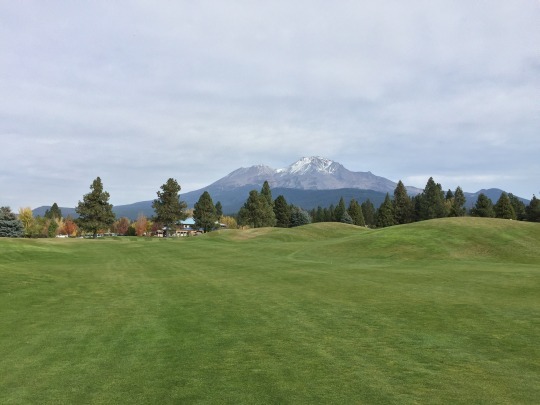 Just north of the course, Mount Shasta sits in the distance to provide you with some very nice unobstructed views throughout your round. Conditions were definitely better than I would have expected this time of year, but I had pretty low expectations. For the most part, there was plenty of grass coverage throughout. The terrain was lumpy, bumpy and a tad mushy this time of year, so it looked better than it played. The greens here are tiny and they were super firm. They were nearly impossible to hold, even on short wedge shots. That got a bit frustrating. 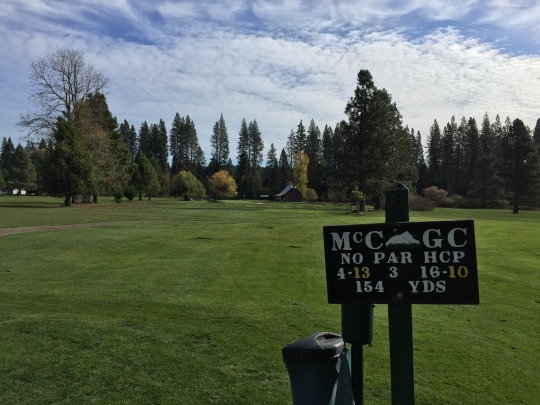 Though not really worth going out of your way for, McCloud Golf Club has some old-timey charm and a nice setting that makes it enjoyable enough for what it is. 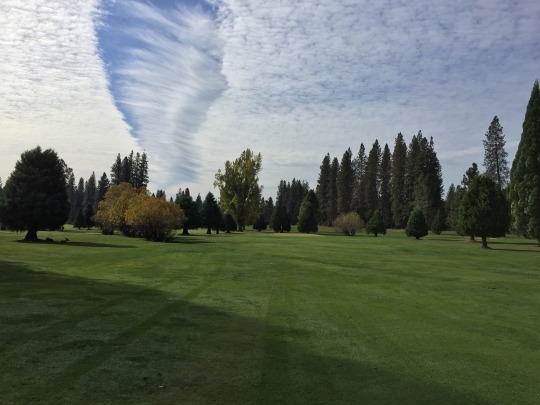 In some ways it reminded me of one of my old hometown courses, Del Norte Golf Course in Crescent City. They have some similar traits. My plan worked out as I was able to head right out to the 1st tee around 12:15. I joined up with another single, but we quickly caught some slower groups ahead. The twosome behind us eventually joined up, but it was still slow going. In the end, the 4:20 pace wasn’t bad at all. 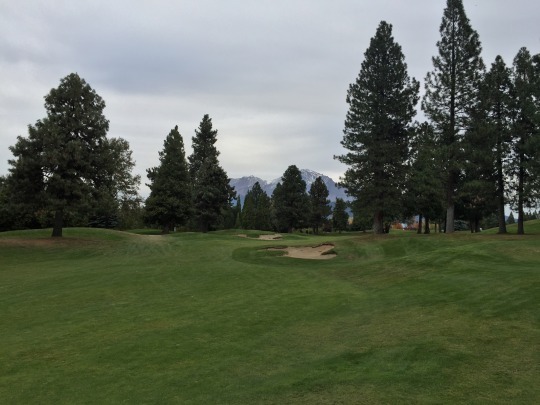 However, I’ve never had more than a three-hour round here and I wanted to get back on the road quicker, so it felt much slower than it actually was. 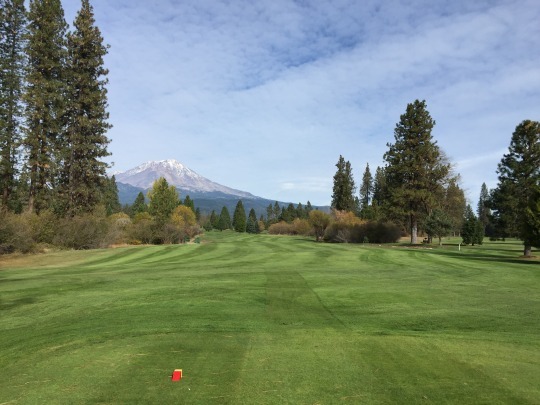 Before talking about the course, I’ll share some back story because when people ask me my favorite course, I will often say it’s Mount Shasta. At this point in time, it is probably more of a sentimental pick. 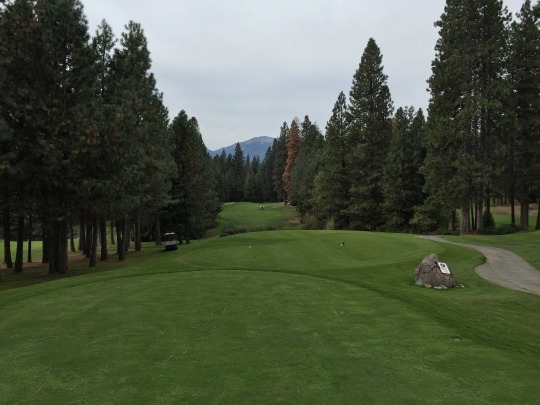 After all, I have played about 500 different courses since the last time I played here and some of those have been world-renowned tracks in different parts of the country. Truth be told, I don’t think I truly have a “favorite” course anymore because so many hold a special place in my heart for different reasons. 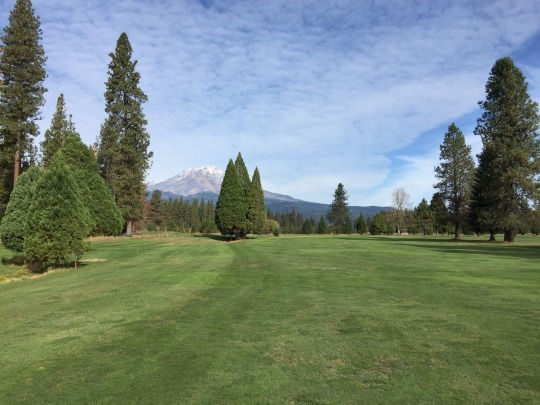 Anyway, Mount Shasta was one of the first courses I ever decided to stop and play while driving back from my hometown in Northern California to my current home in Southern California. I was driving along and stopped on a whim when I saw a sign for a course at the resort. 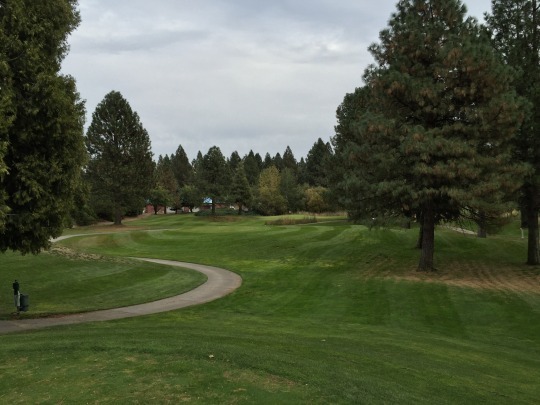 I ended up falling in love with the course because of its natural beauty and fun layout. Since then, it’s really the only course I’ve gone back to play more than once on my drives between here and there. 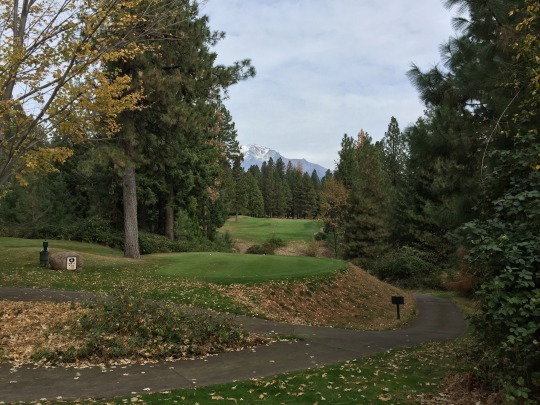 Nowadays, it’s really hard to pass up opportunities to explore new courses and add to my “collection.” With Shasta, though, it’s now been a few years and I had never reviewed it here, so I figured it was time. As for the course, it was interesting to come back here after several years away and a lot of golf in between. I kind of feel like the old girl has lost a little luster for me personally, but it is still such a fun and beautiful little track that you won’t soon forget if you ever have the chance to play it. 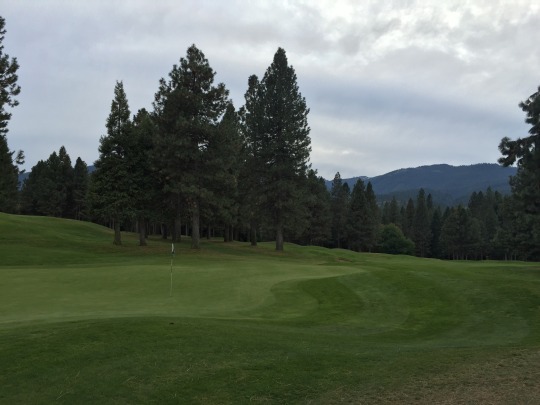 It is a true mountain course, which is one of the things I love about it. It is hilly. It is tight. 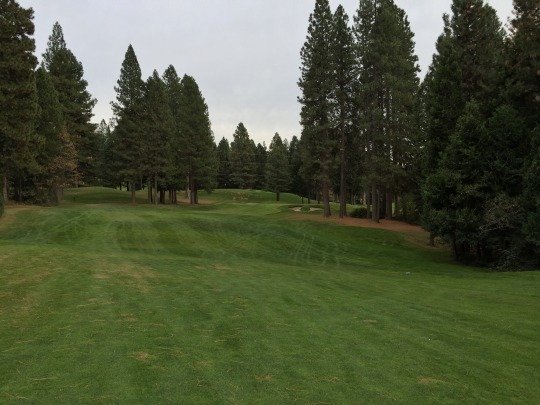 There are many tall pine trees lining almost every hole. There are some great views of the mountain as it looms in the distance just northeast of the course. 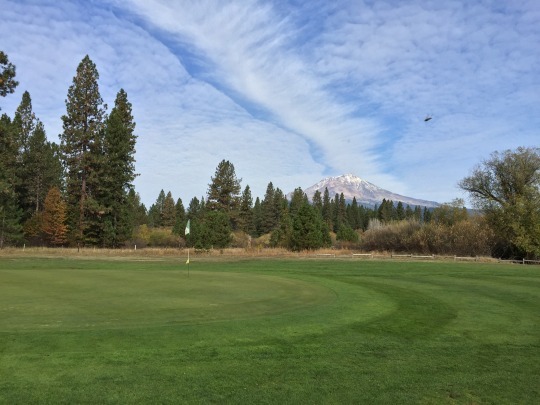 Mount Shasta is the epitome of “target” golf. 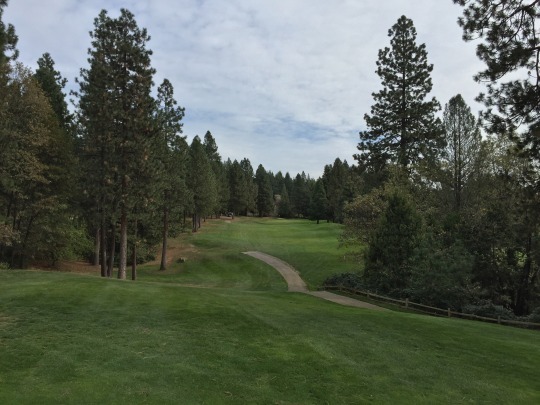 It is not a long course and only plays to a par of 70 (with three par-5s and five par-3s). 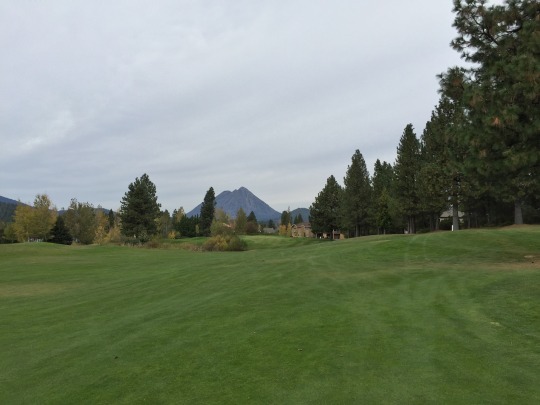 There are some blind shots, tricky doglegs and a few very uncomfortable tee shot angles. However, once you know the course a little, it has more bark than bite. The goal here is simple. If you keep the ball in play and hit your targets, which is obviously easier said than done, then you can score well. If you are off at all, you will pay the price. 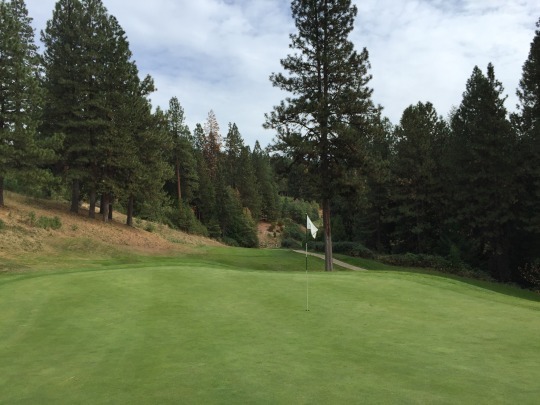 When things are going right, it is extremely fun to work your way around this course. When things go wrong, it may get frustrating. I experienced a bit of both on Friday. 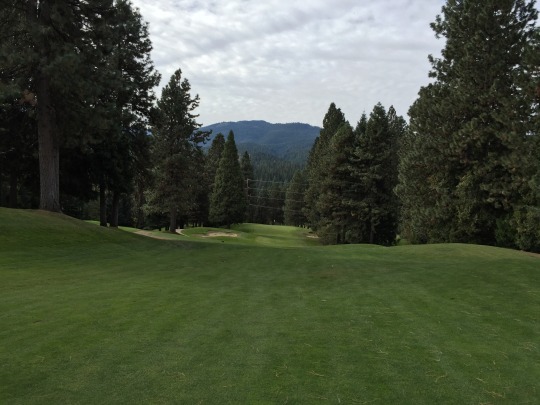 As much as I want to be, I will probably never be a fan of the short par-4 3rd hole. It’s about as quirky as you can get. 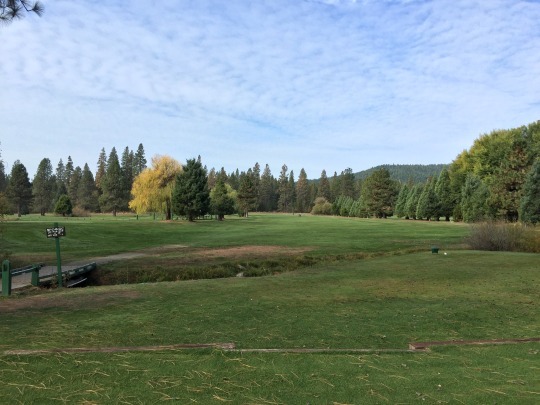 Long hitters with a draw shot might try and go for this green, which you can’t see from the tee. 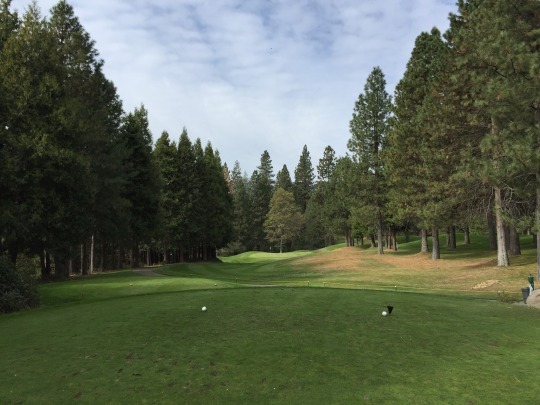 For the rest of us, it’s a very uncomfortable lay-up to a fairway that looks like a postage stamp from the tee box. 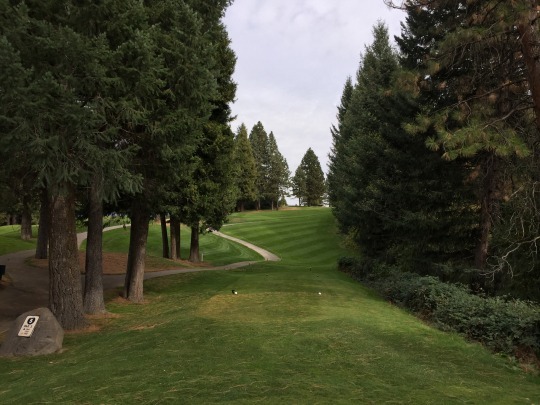 If you stay safe off the tee, then you will have a short, but semi-blind uphill approach to the well-protected green. Even though I played it safely and scored an easy par and quirky holes are all around this course, I still think this particular hole is just too funky. Both nines start you off with unusual doglegs to the right and down a steep hill. I find them both to be a blast, but they will throw first-time visitors for a loop. 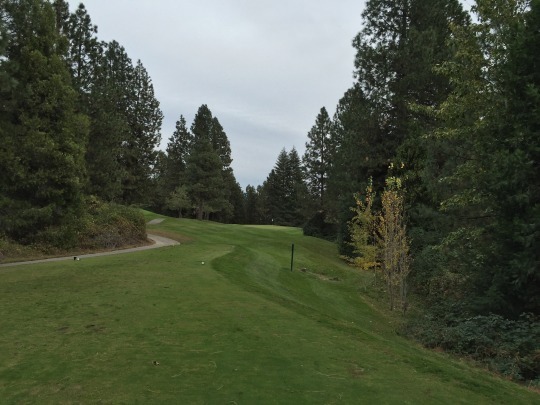 One hole I always look forward to is the 18th, which is a par-5 that doglegs severely left and goes straight uphill to finish. 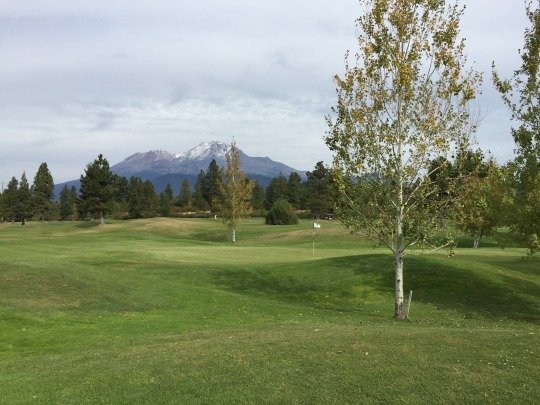 I love the view of the mountain behind this green. 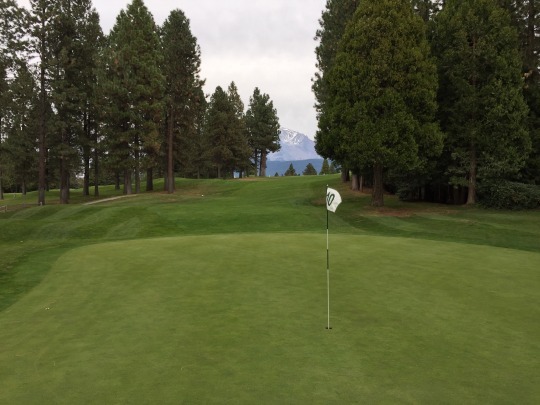 It is so nicely framed and is a positive visual to finish your round on no matter what your scorecard says. The course conditions were good overall. The tee boxes were fine. The fairways and rough had a lot of good lush coverage. Things were just a bit shaggy for my tastes, though. 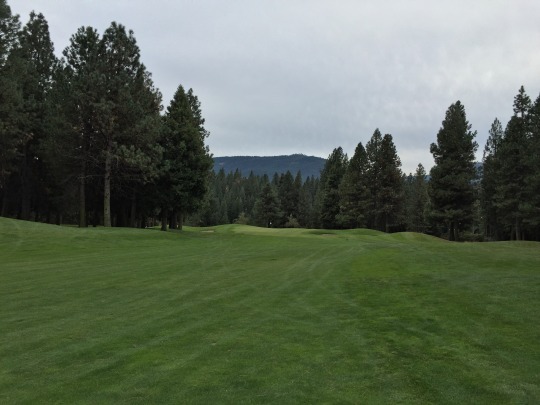 The rough doesn’t have the most level ground underneath it, so it’s kind of erratic when you are off fairways because it can be punishing with plenty of thick damp grass on top of the iffy terrain. 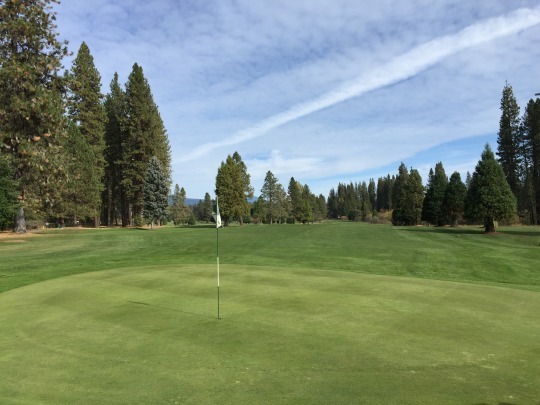 The greens were soft and rolling a medium speeds. I was only in one bunker and it had good sand. It was interesting playing this course this time of year because I’ve only ever played here in the summer when things are usually very firm and fast. 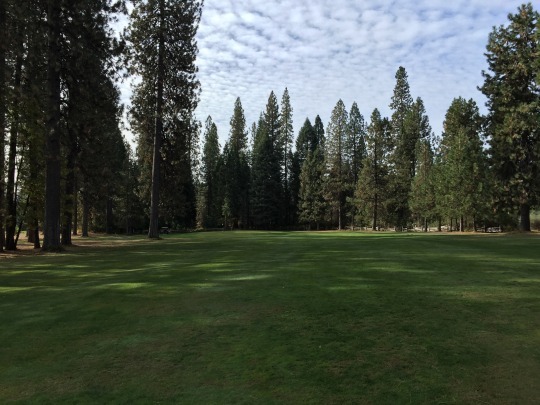 With softer and fluffier conditions, the course probably plays more like it should as a short target layout without much room for error. It was just different than I’m used to. 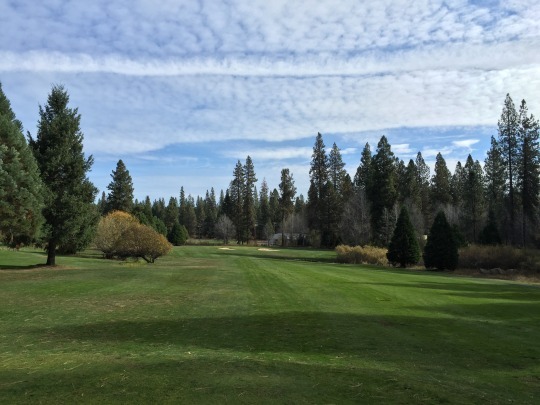 The course seems to be a little rougher around the edges each time I visit, but it’s still such a fun course to play and a scenic setting worth savoring.